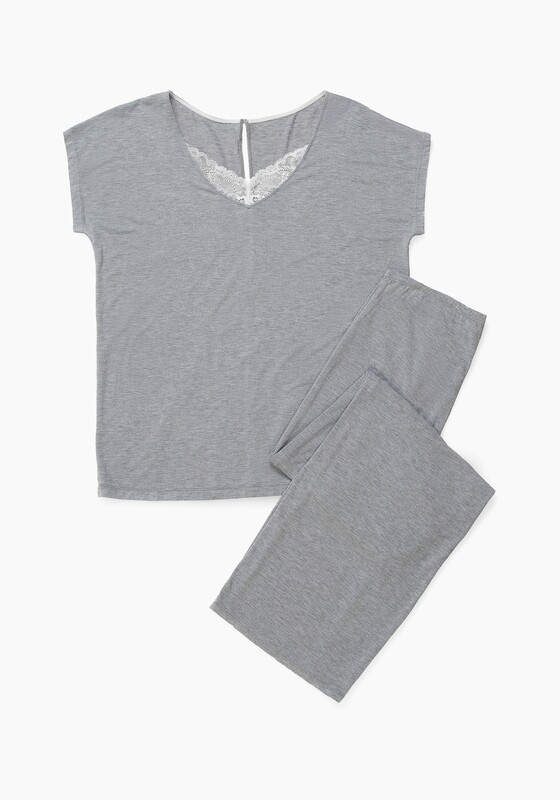 soft and silky viscose makes for sophisticated sleepwear that's perfect for lounging. a little bit of scalloped lace goes a long way, adding a special touch to these cozy pieces. pant: elastic waist, regular rise, inseam 31"
model is wearing a medium pajama set.